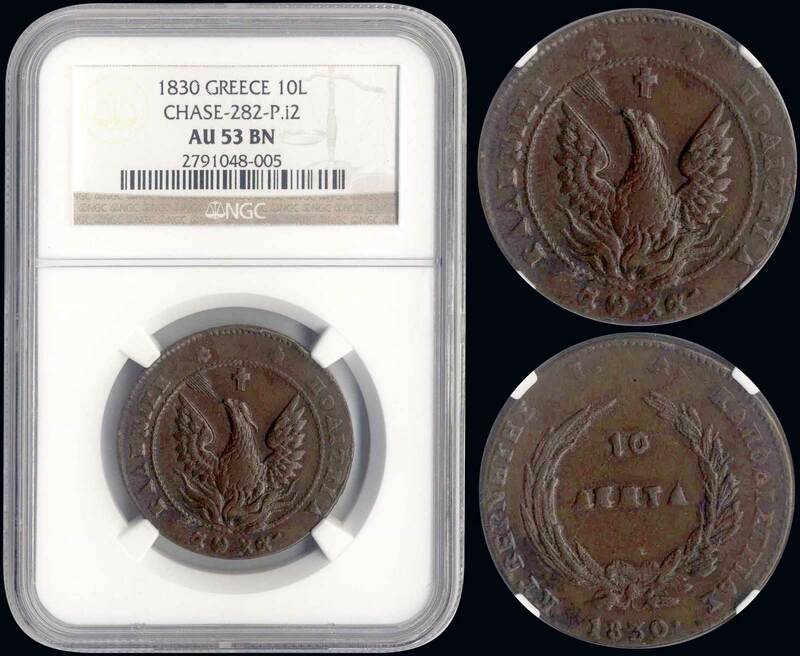 10 Lepta (1830) (type B.2) in copper with "(Big) Phoenix" in pearl circle. Variety: "282-P.i2" (Scarce) by Peter Chase. Inside slab by NGC "AU 53 BN". (Hellas 17).